How do I learn to homestead? 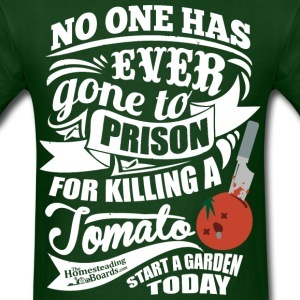 Learn to garden? Learn to build things? Learn to raise animals? Learn to become more self sufficient? I get these questions quite often from people. Sadly we lost a wealth of know-how as a society over the last several generations with the new modern way of life. The skills to live self-sufficiently used to be just common knowledge that was passed down from parent to child. Luckily for us that are trying to re-learn how to live a simpler way of life there are programs that are available to help us. Below are just a few you can take advantage of. Sign up for a class at your local cooperative extension. They are a wealth of knowledge and hold workshops on different subjects; for example; here are some programs offered by our local counties extension. Get involved with the 4-H.
As a child it seemed like everyone I knew was involved with 4-H, now as a adult, I know very few who are involved. The name represents four personal development areas of focus for the organization: head, heart, hands, and health. It is a youth organization with deep roots in this country and they are constantly looking for volunteers. Get involved, you might learn a few new things. Volunteer for habitat for humanity. Founded in 1976 they have built over 300,000 homes for low income families by volunteers and sweat equity from the future homeowners. Give them a call and start swinging a hammer. Not only will you learn something, but you will be helping a worthy cause. Stop and talk to the vendors at local farmers markets. With the push for sustainability in today’s uncertain times there are large networks growing of people wanting to spread some knowledge. Some of the larger farms will hold workshops on different subjects. Polyface Farms would be a great example of seeing and learning different topics on farming. Besides, you might just make a friend. Visit the big box hardware stores such as Lowe’s and Home Depot. They hold classes usually every weekend on different topics from installing a window to building a staircase. Contact your local adult Adult Continuing Education Program. It isn’t just for GEDS and they hold classes ranging from gardening to horseback riding. Here is a local course guide that includes a cooking class, a beekeeping class and kitchen design. Contact the American Horticulture Society. They offer a 40 plus hour training class on horticulture to work towards a Master Gardener Certification. Looking for a specific type of construction method? Pick up a book on it and contact the author. The following list might give you some good ideas to start with.